We are manufacturer and exporter of Strength Testing Instruments for Fabric, Paper, Metal, Rubber, Plastic, HDPE Sacks, Ceramic Tiles, Cable, Wire, Ropes and many more. 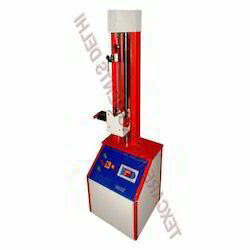 Peel Strength Tester is used to determine Peel / Seal Strength of Polymer film, Plastic films, Adhesive Tapes. This machine is useful for Peel Strength, Bond Strength, Adhesion Strength, Seal Strength, Seam Strength etc. This is Table Top Model having digital Display of Load. The maximum Load (Peak value) hold on memory. This machine has self calibration option. 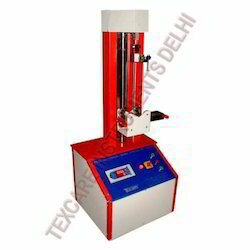 BS Testing Machine is used to determine Bursting Strength of any Paper, Board, Textile, Film and foils. We are manufacturing BS Testing machine with high quality raw material and our dedicated team to insure best quality product. This BS Testing machine is widely used in Paper and Packaging Industry, Textile Industry and other sheet material industry. 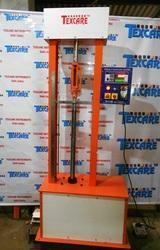 We are manufacturing BS Testing Machine and supplying to all over india and abrod. 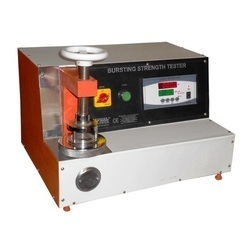 We are manufacturer of Bonding Strength Tester, used to determine bonding strength of any Adhesive Material like cement, Glue, Charcoal, Synthetic Adhesives, Plastic Adhesives, Rubber Adhesives.